Aeons ago in my pre-motherhood life, before I had any kids to subject to my linguistic experiments, my in-laws gave me these cards as a gift. 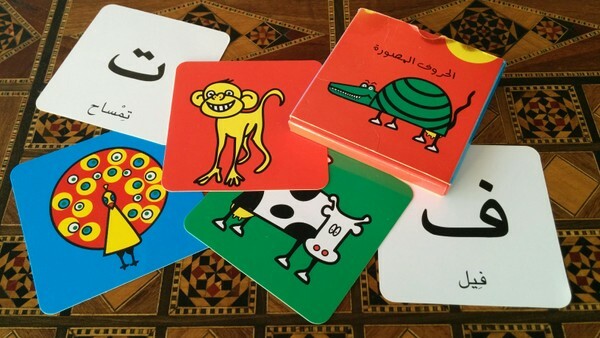 This set of Arabic animal alphabet cards helped me, and now they are proving fun for my little ones. My kids are just about old enough to play with them without spoiling them (the oldest just turned four), so this has been their latest treat. 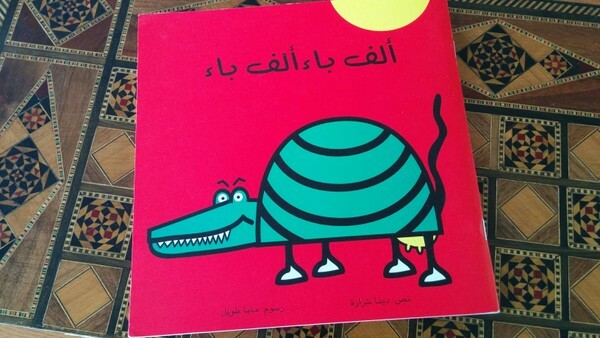 As a bonus, while I was last in Lebanon, I found this book from the same series. 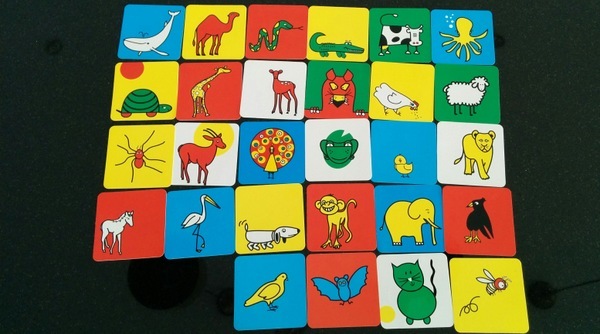 Inside it has the same illustrations as the cards for each letter, and also a short phrase about the animal. The cards and book complement each other. The advantage of a book is that you can take it out and not worry about losing one card (it’s so frustrating when a crucial part of a set is missing!). My three year old can look at it in the car, or during book time, too. With the cards, on the other hand, you can play all sorts of games. Because they present the same vocabulary in different forms, they are a good language-learning tool. You really need to see a word in different contexts for it to sink in, so the two formats help. 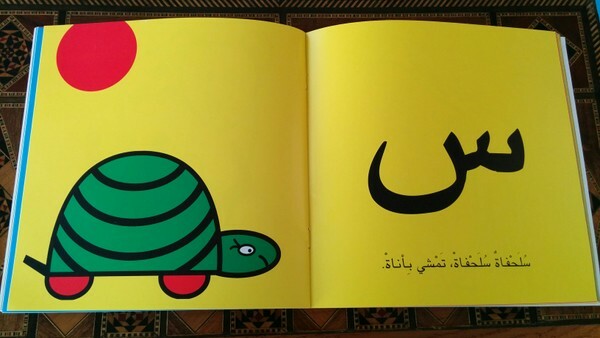 Of course, choice of vocabulary is always an issue in Arabic. For example the word used for ‘cat’ is neither the قط I learnt in my Classical Arabic course, nor the ‘pseiné’ the Lebanese generally use, but هرة. You just can’t pin Arabic down and make it behave like other languages. But then again, no living language can actually be reduced to black and white and fixed in place or in time. We went to the zoo recently, and on the way home we told ourselves the story of Monkey and Me, in Arabic, filling in the animals that we had actually seen. The text from the book is short and rhythmic so it is easy to learn off by heart and the oldest actually remembered quite a range of animal names too. Later I can see us using the card to copy the letters, or compare the shape of the letter on its own to the initial joined to the rest of the word.